The slight incline, hazards and a guide ball will help you develop a firm, accurate putting stroke that can be replicated out of the course. 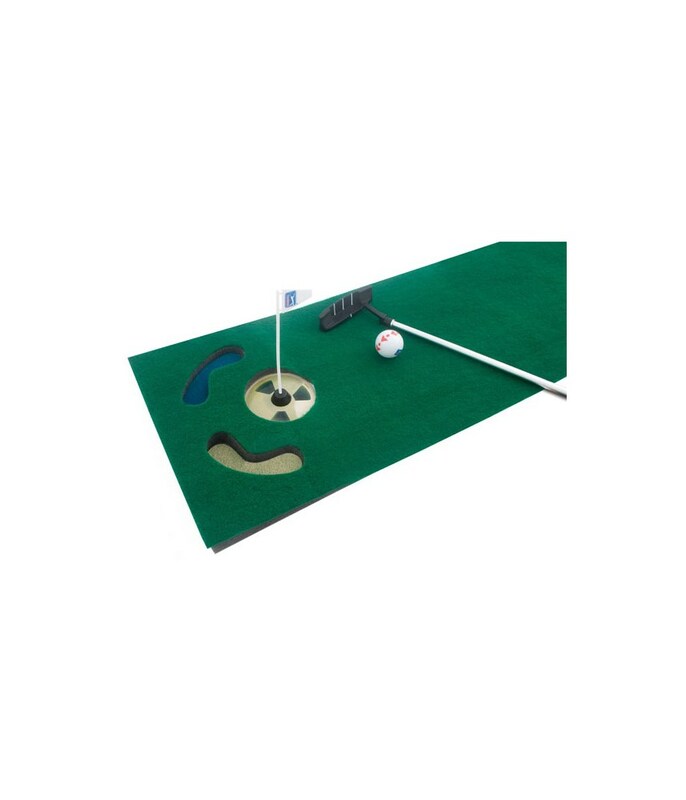 The PGA Tour 6 Foot Putting Mat with Guide Ball and Putter is a brilliant and convenient way to practice your putting stroke even when you are not on the course. 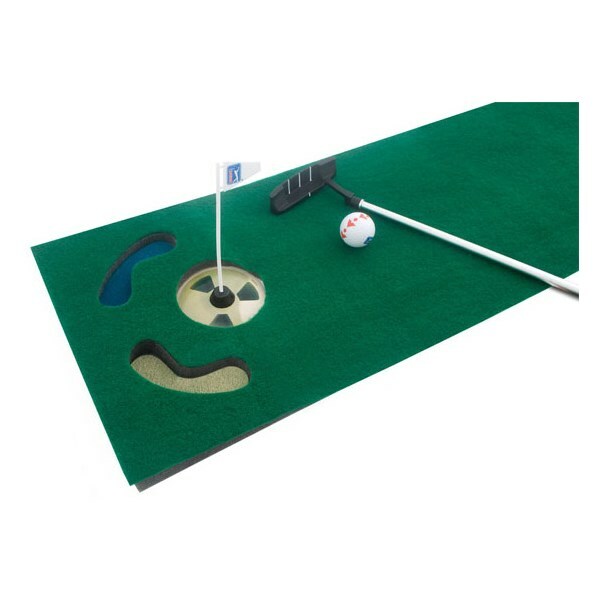 A deluxe artificial grass has been used to create the line and speed of a normal green and the use of a slight incline will help you develop a positive stroke that gets to the hole. Should you miss the hole two hazards await in the shape of water and sand. A guide ball has been supplied and this will show you and teach you how the ball reacts when the ball is not met with a square putter face. The aim for the guide ball is for the lines to roll over and over, this in turn will give you greater distance and accuracy control when you get out on the course.